Are we in a new Cold War with Russia? How does a new Cold War affect the safety and security of the United States? Does Vladimir Putin really want to destabilize the West? America is in a new Cold War with Russia even more dangerous than the one the world barely survived in the twentieth century. The Soviet Union is gone, but the two nuclear superpowers are again locked in political and military confrontations, now from Ukraine to Syria. All of this is exacerbated by Washington’s war-like demonizing of the Kremlin leadership and by Russiagate’s unprecedented allegations. US mainstream media accounts are highly selective and seriously misleading. American “disinformation,” not only Russian, is a growing peril. 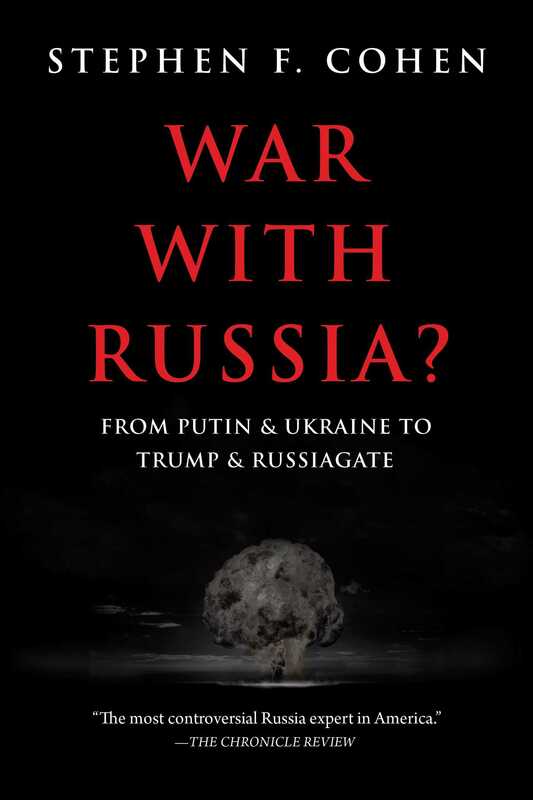 In War With Russia?, Stephen F. Cohen—the widely acclaimed historian of Soviet and post-Soviet Russia—gives readers a very different, dissenting narrative of this more dangerous new Cold War from its origins in the 1990s, the actual role of Vladimir Putin, and the 2014 Ukrainian crisis to Donald Trump’s election and today’s unprecedented Russiagate allegations. Cohen’s views have made him, it is said, “America’s most controversial Russia expert.” Some say this to denounce him, others to laud him as a bold, highly informed critic of US policies and the dangers they have helped to create. War With Russia? gives readers a chance to decide for themselves who is right: are we living, as Cohen argues, in a time of unprecedented perils at home and abroad? Praise for War With Russia?